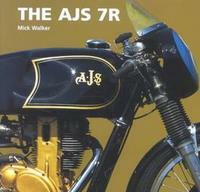 AJS motorcycle books cover the history, manuals, practical guides and restoration of AJS motorcycles. Go to Matchless Motorcycle Books for more joint Matchless/AJS books and manuals. 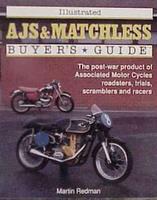 AJS & Matchless The Postwar Models by Roy Bacon (1983). Lightweight and heavyweight singles and twins from 1945. Spares Lists For The AJS & Matchless Single & Twin Motorcycles by A T Burgess (1971) contains facsimile versions of two separate official motorcycle factory spares lists. The first is a spares list for the 1956 A.J.S. 350cc and 500cc single cylinder machines and the second covers 1958 spares. AJS And Matchless Gold Portfolio 1945-66 by R M Clarke (1996). A total of 57 articles covering the Heavyweight and Lightweight Singles, 500, 600, 650, 750 and Racing Twins. Includes road tests, performance data, history and scramblers. AJS : History Of A Great Motorcycle by Gregor Grant (1969) traces the history of AJS since the earliest days. Among the aspects of AJS covered are the days of the Stevens brothers, the acquisition of the company by the Colliers, the formation of AMC, and finally Norton Villiers, manufacturers of the exciting two-stroke Y Series 'Scrambler', with, like all preceding AJS machines, a racing background. The Book of the AJS: A Complete Guide for Owners and Prospective Purchasers of 1932-9 AJS Motor-Cycles by William C Haycraft (1941). A practical guide covering all models from 1932-9. Dealing with every phase of the subject, including chapters on I.C. engine theory, carburation, lubrication, lighting equipment and overhauling. 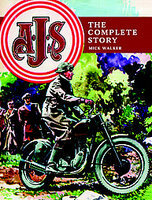 AJS Of Wolverhampton by Stephen Mills (1994) gives a detailed history of the AJS motorcycle. Packed with information plus many old photographs of the motorcycles, races, people involved and the works in Wolverhampton. AJS Motor Cycles: A Practical Guide Covering Models From 1931 by F W Neill (1948). A practical guide covering all models from 1931 to 1939 plus 1940-41 ex-W.D. engines. AJS Twin Motor Cycles: A Practical Guide Covering Models Manufactured Since 1949 by F W Neill (1956) is a very scarce book with diagrams, phtotographs and adverts. AJS Motor Cycles ( Single Cylinder ): A Practical Guide Covering Models From 1945 by F W Neill (1958) is a practical guide covering Singles models from 1945 to 1958 including Trials and Scrambles.